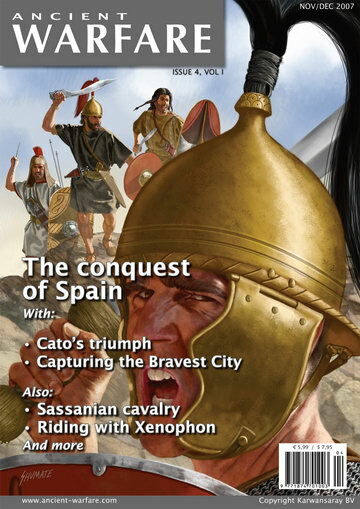 An online magazine about current archaeology and classical research into the lives of inhabitants of the Roman Empire and Byzantium and the civilizations around them. Military artist Johnny Shumate's images of the ancient world available for purchase! The Gallic Wars: Genocide or Stepping Stone to Empire? 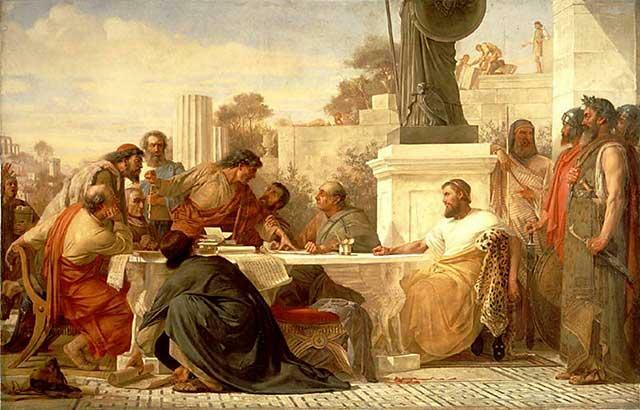 Did Financial Exigency Drive the Roman Empire to Embrace Christianity? New "Ancient Wisdom" Alexa skill available now! 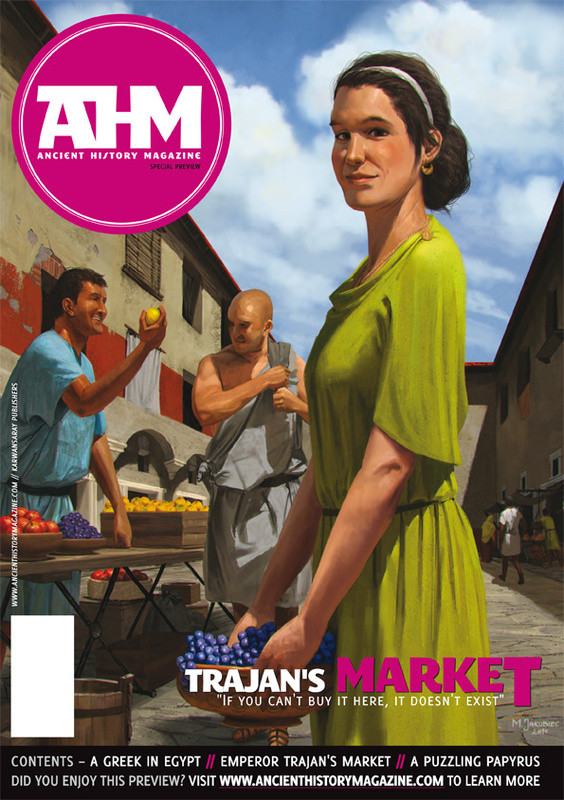 Marius' Mules - Rome's first professional soldiers! In addition to creating figures for museum exhibition, artist historian George S. Stuart also produces commissioned figures for serious collectors. One of his collectors requested this figure of a Roman legionary. Gaius Marius is recognized for totally restructuring the Roman Army and introducing new training regimens. 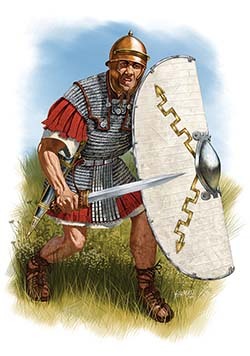 He changed the army from a voluntary militia to a professional force, allowing men from all classes of Roman society to join and make a career of military service. See a full length view of this amazingly detailed figure at the Gallery of Historical Figures! Don't Miss Our Sister Publications and Sites! Have a question about the ancient world? Just Ask! This work by Mary Harrsch is licensed under a Creative Commons Attribution-Noncommercial-Share Alike 3.0 United States License.